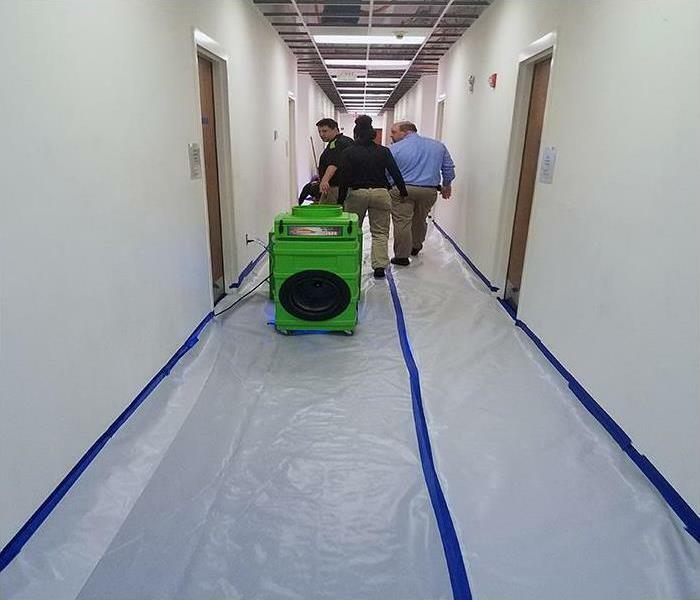 When the workspace in a call center office in Durham suffers a water loss, business can screech to a halt. 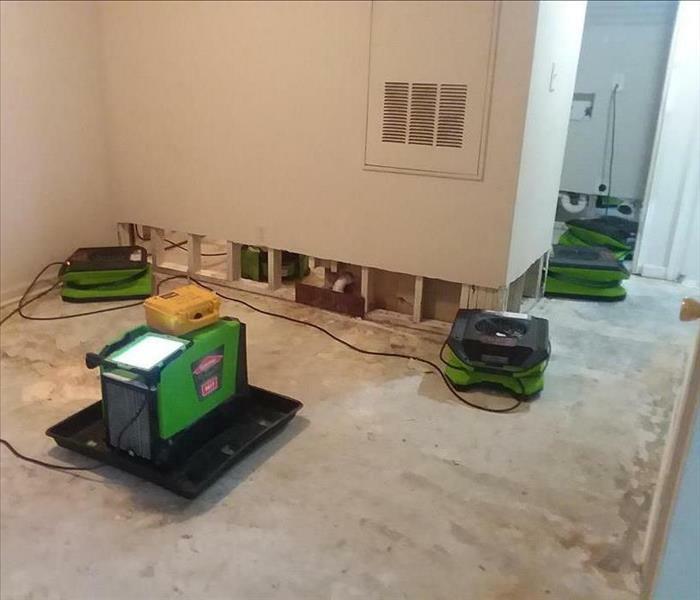 Count on SERVPRO to arrive quickly, vacuum out water, and set up equipment to dry out the area. Ready to get back to work. SERVPRO arrives fast, works quickly to remove any pooling water on the hardwood flooring in this Gorman home, and greatly pleases our customer. We have the equipment and the will to always do what is best for our neighbors. Ready to help, 24/7. 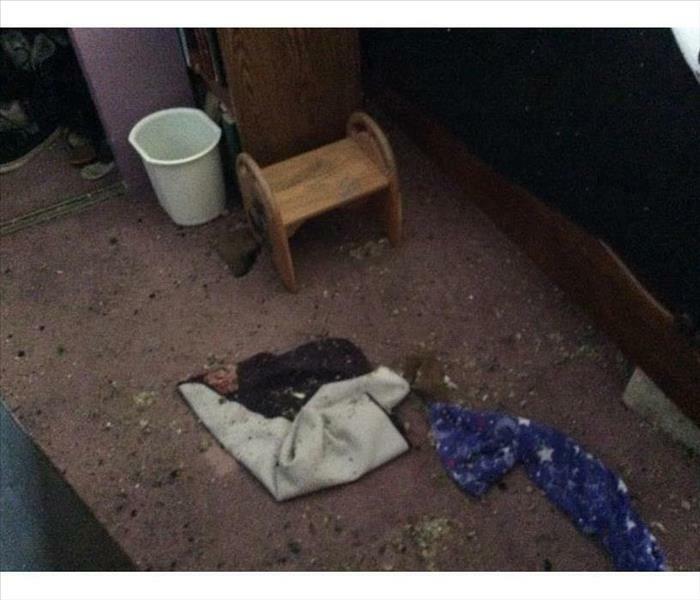 The attic fire dropped burnt and contaminated debris onto this bedroom in Gorman. When the fire-damaged elements can be quickly removed, it reduces the circulation of smoke particulates and odors to other rooms of the home. SERVPRO can start the cleanup even as the technicians place a hydroxyl generator to neutralize the pungent smells. How Will Hurricane Florence Impact Durham? As the Durham area prepares for Hurricane Florence, The National Weather Service warned “Strong winds could also spread inland into portions of the Carolinas.” High winds can take down power lines and trees. Very heavy rainfall is also possible in the Raleigh and Durham areas. Hurricane Florence is likely to cause significant flooding and wind destruction in parts of North Carolina. Please take the time to listen to local officials and plan to protect your family accordingly. 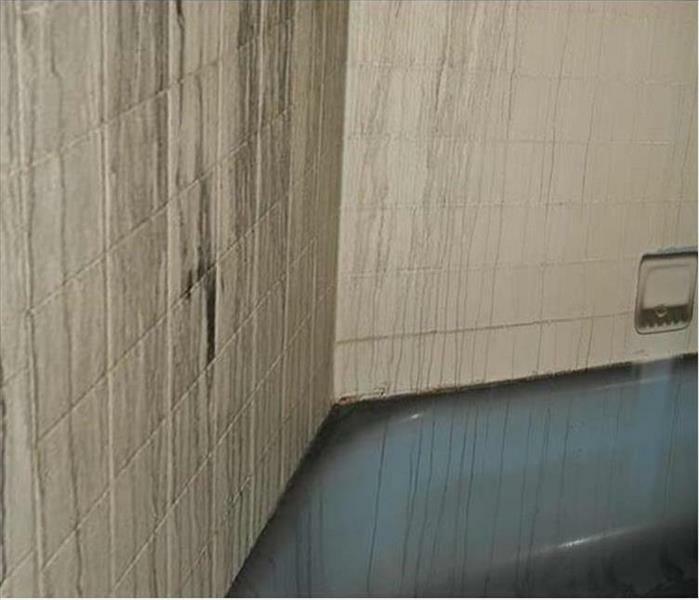 Personal hygiene and cosmetics leave a greasy, sooty film when a bathroom fire occurs in Rougemont. SERVPRO advises homeowners to be careful with curling irons, hair dryers and other heat generating small, hand-held appliances. We can wipe down the tiles and porcelain "Like it never even happened." Soaked carpet, pads, and wallboard from contaminated stormwater need to be removed to the garbage heap. 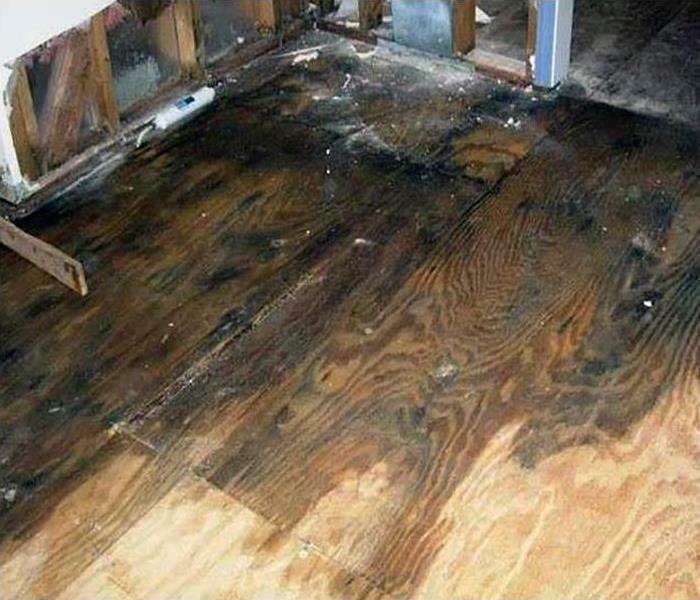 North Durham property owners often, and wisely, turn to SERVPRO to restore their properties to preloss condition. 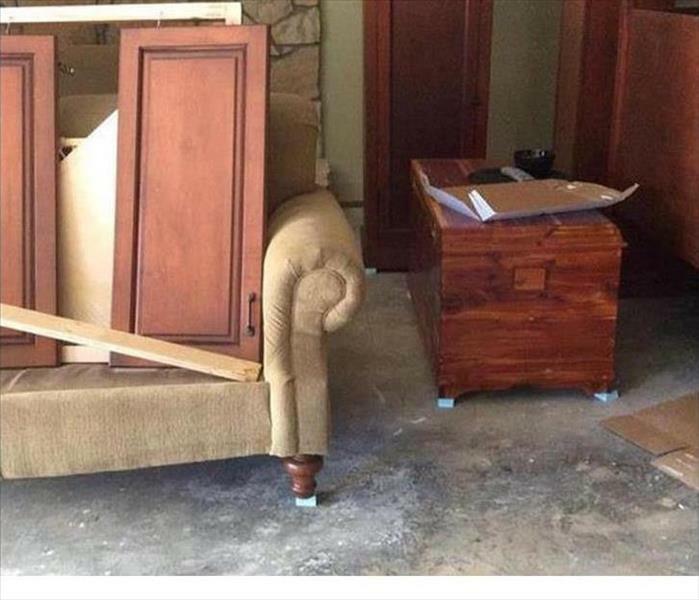 This photo illustrates the neat and professional service we can provide, always. Mold damage developed at this Durham house when the roof began to leak. The moisture allowed into the dark area of the attic created a perfect environment for the development of a mold colony. 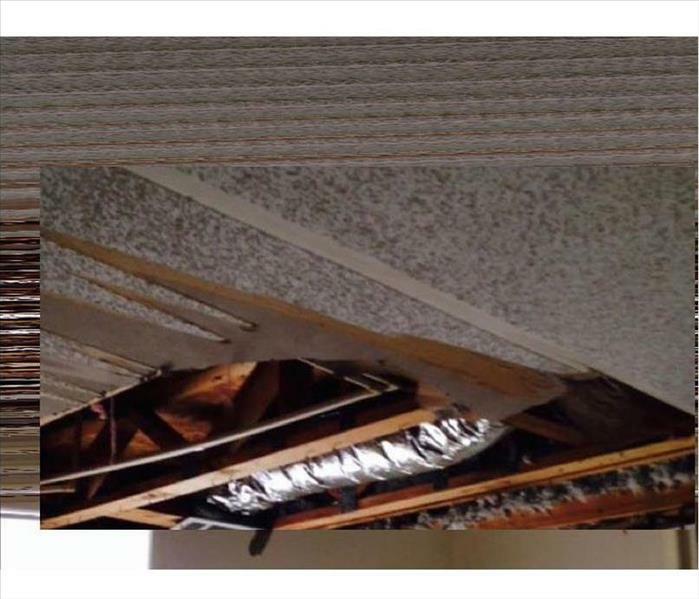 SERVPRO of North Durham could remove, clean, disinfect, and replace the damaged areas of the ceiling and attic. Fire damage at this Durham apartment left the ductwork coated with soot and smoke residue. Cleaning the ductwork in cases like this requires the latest methods and equipment available. 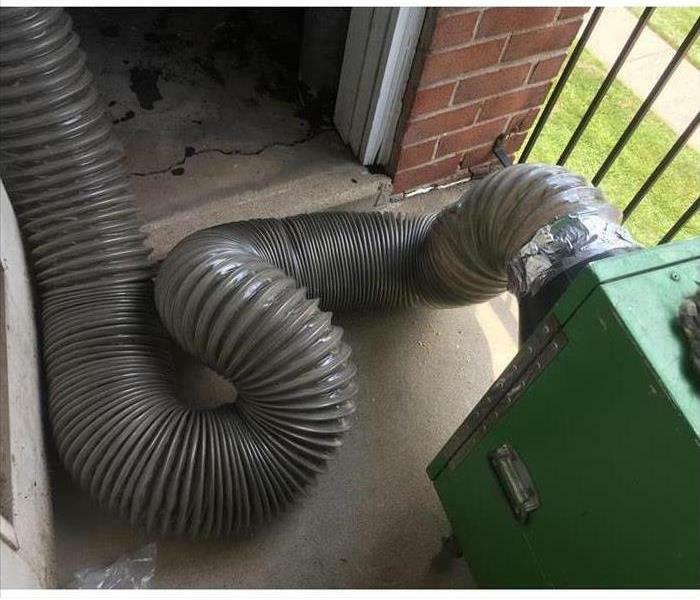 SERVPRO of North Durham industry certified crews would set up flexible tubing with a heavy-duty vacuum rigged to cle3an the ductwork of soot and smoke. 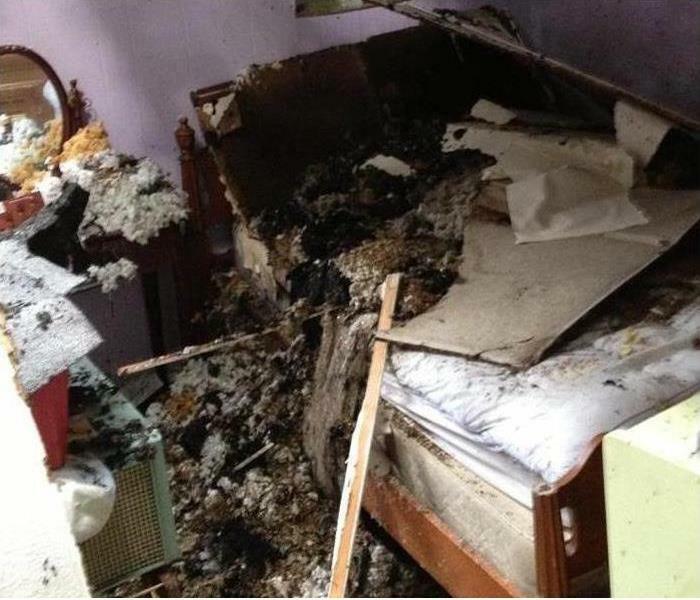 After a fire destroys your home, you need to contact our team at SERVPRO right away. Our crew is available 24/7, and we will respond quickly to your fire damage emergency. SERVPRO of North Durham has the equipment, training, and fire damage experience to restore your home to pre-damage condition. A water leak needed a rapid removal from this Chapel Hill home to prevent damage to the subfloor. The tiles and grout allowed for no water penetration, but the baseboard corner areas did. Our SERVPRO technicians recognized the need to stop the subfloor of this crawlspace structure from wicking water and delaminating the plywood. 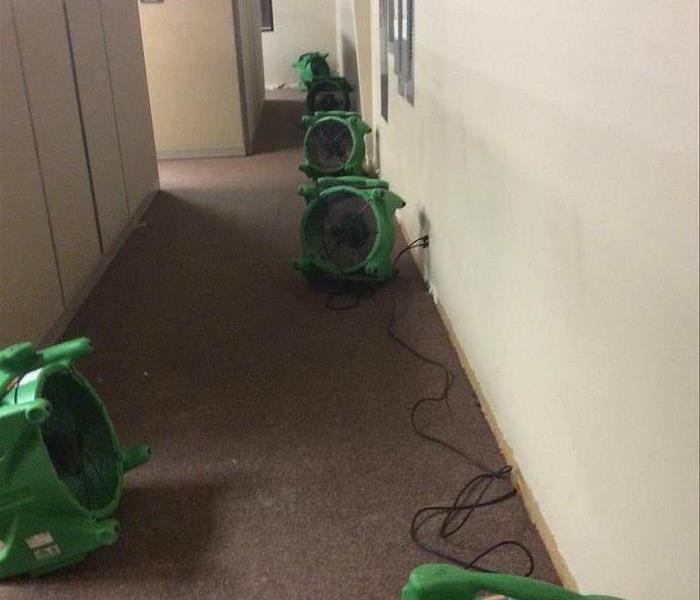 By placing air movers, dehumidifiers, and a heater to increase the evaporation rate we succeeded in mitigating the water damage. Our SERVPRO tagline of We're Faster To Any Size Disaster is very meaningful and appreciated by our clients. We recently received a call at 4:50 pm regarding a fire damage emergency at a restaurant in Durham. The fire started in front of the restaurant and affected the lobby and women's bathroom. 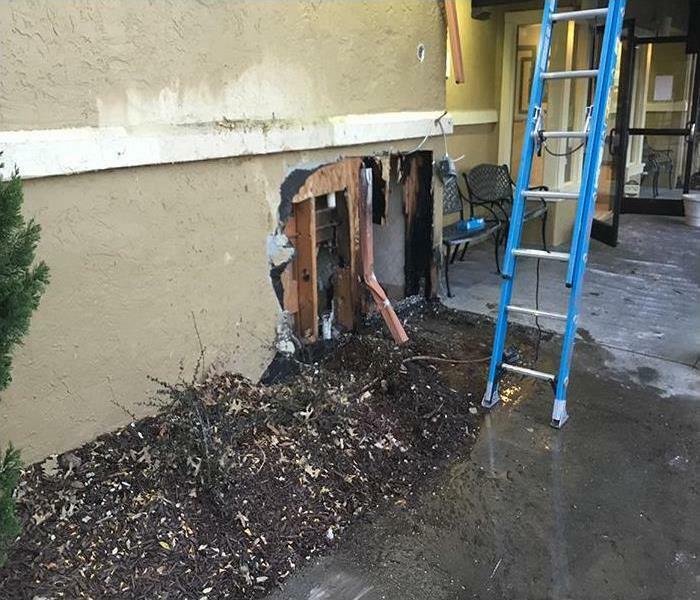 We had to remove the damaged drywall and insulation out of the women's restroom, and our technicians cleaned up the outside of the building. To avoid bad odors from the fire, our experts deodorized the restaurant. There If your business ever experiences a fire, you can depend on our team at SERVPRO of North Durham! Mold can be very tricky, but our experts know how to tackle any size mold infestation. We have a team of trained technicians that have the experience and equipment needed to return your home to a mold free environment. SERVPRO of North Durham is Faster to Any Size Disaster. SERVPRO of North Durham understands that storm damage restoration requires fast action and that is why our technicians are available 24/7. Our technicians will arrive quickly which will reduce secondary damage and your restoration cost. We have the personnel, storm damage experience, and equipment to restore your property to pre-damage. 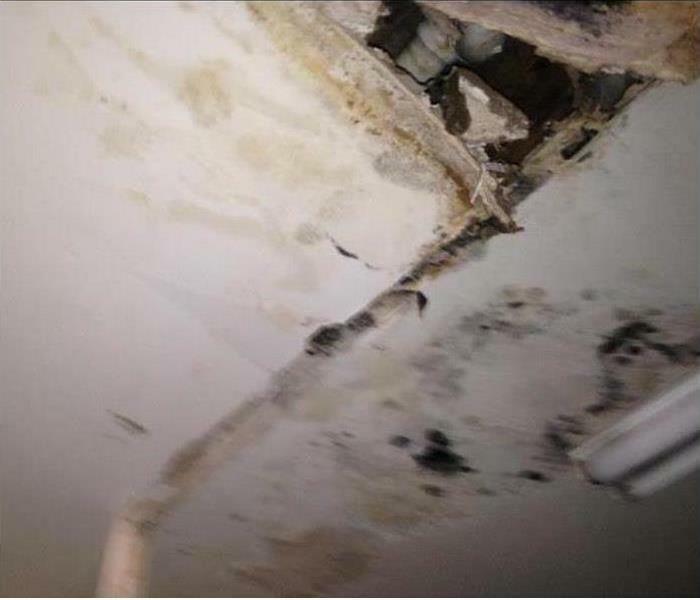 Mold damage at this Durham apartment was the result of a slow water drip from a supply line above the ceiling. 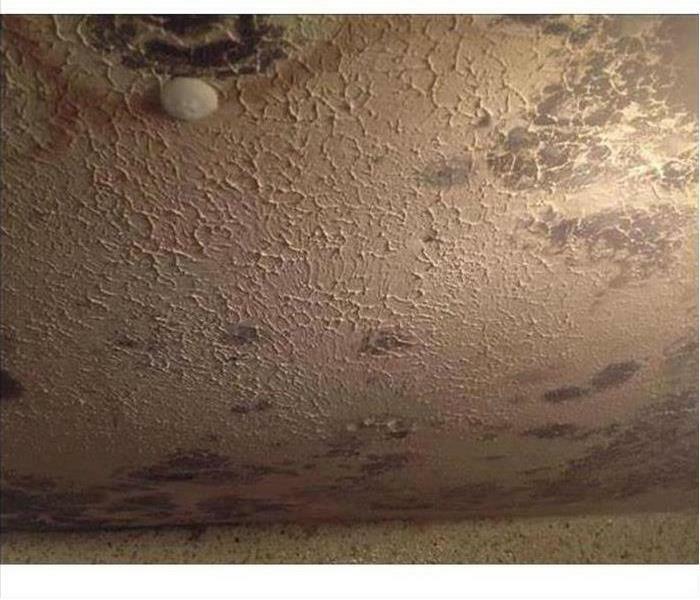 The ceiling would need to be demolished and replaced after applying an antimicrobial agent to inhibit future mold growth. 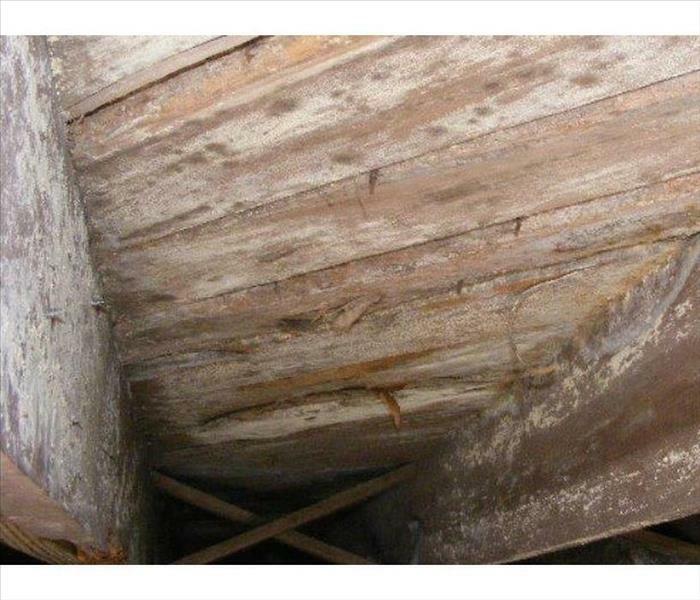 Water lines running through the attic crawl space can cause damage if they leak or rupture. 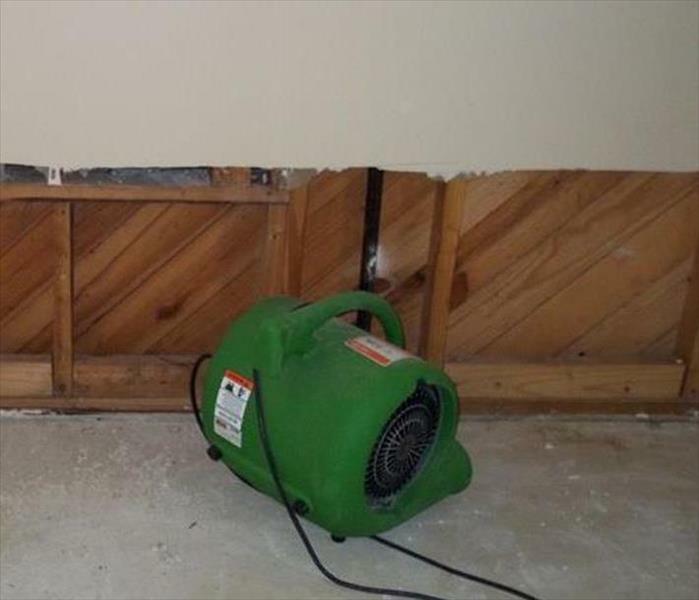 By call SERVPRO you can prevent on-going secondary water damage to your Durham home with a rapid demolition and removal of the water damaged materials. 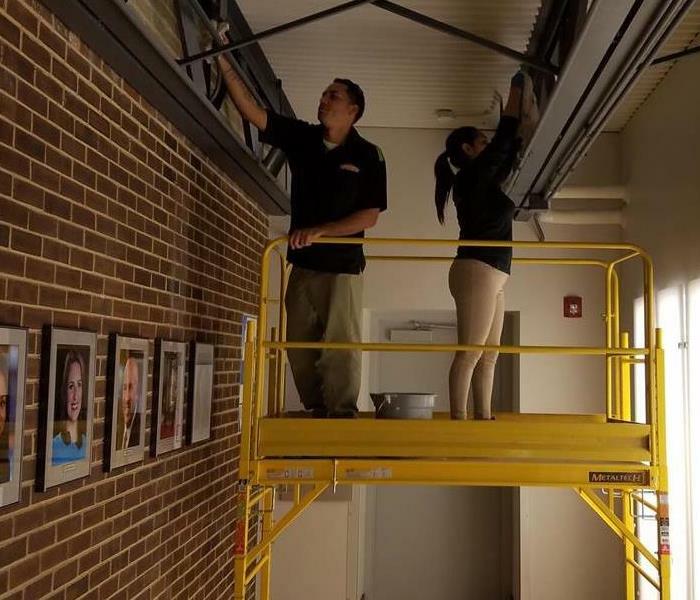 Commercial storm damage, when it occurs, requires a great deal of equipment and specially trained crews to remediate the structural damage and water damage from the storm. 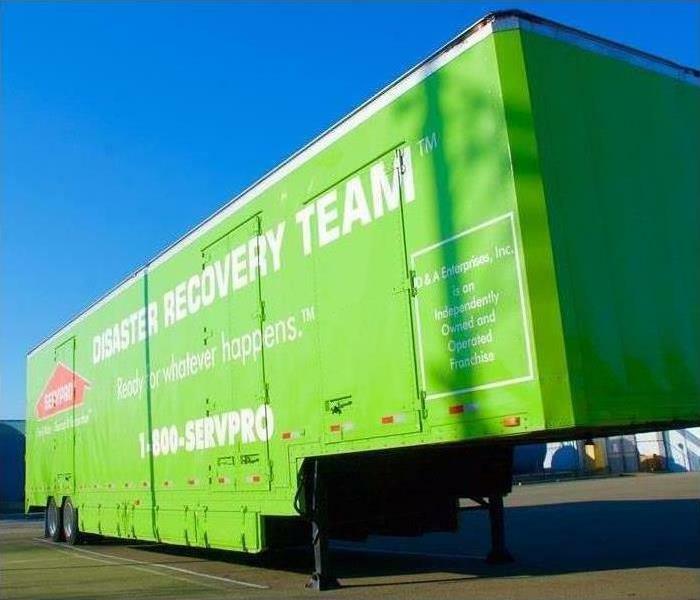 SERVPRO has dedicated Disaster Recovery Teams equipped with semi loads of restoration equipment. The fire & smoke cleanup in this Durham church gets the white glove (and white shoe cover) treatment from one of our SERVPRO crew members. We limit our footprint and strive to remove all residual smoke coatings and odors. The green machine is a HEPA filtered air scrubber that is capturing airborne smoke particulates to work clean and also help eliminate odors. We do our best to restore the church, as soon as possible, to its preloss condition. The groundwater from a storm required the removal of the carpeting from this living room in a Rougemont home. 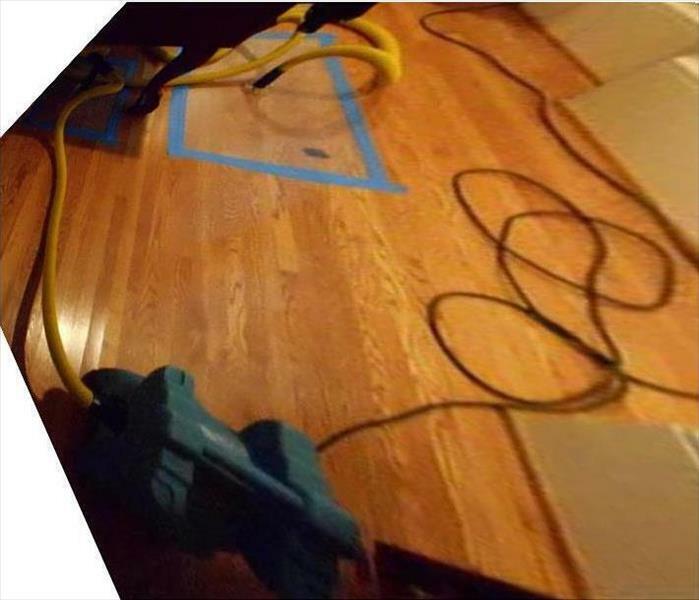 SERVPRO can "block" the furniture to prevent water from wicking into the wood as it destroys the varnished surface. Count on us for help. Timing is everything when your business is on the line. 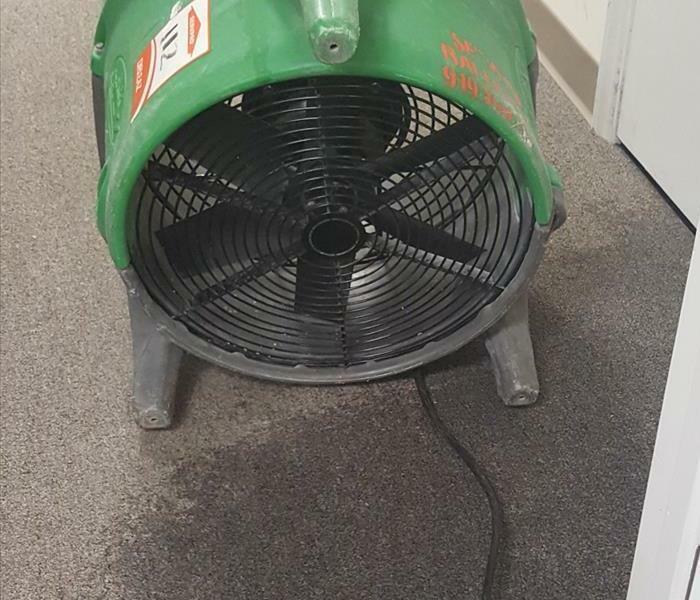 That is why many Durham area companies rely on the fast SERVPRO of North Durham commercial water damage restoration team to keep their doors open. 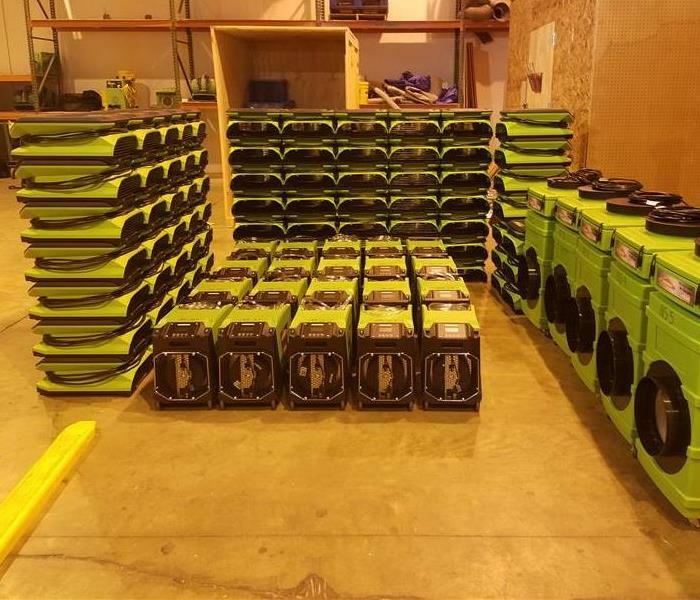 Along with skilled, experienced technicians, we carry in our Green Fleet industry leading equipment such as these stackable air movers, portable dehumidifiers, and even a trailer-mounted generator to dry out your facility and keep your business in business. The SERVPRO of North Durham team has years of experience in cleaning and restoration after commercial fires in the Durham area. Fire damage can be devastating to a commercial property or business. In addition to the fire damage, smoke damage can be spread throughout the building by the HVAC systems. Most of the damage at the WRAL studios was from the smoke. The fire and smoke cleanup started immediately after the fire was out and lasted through the entire weekend. Air cleaners with heavy-duty filters worked to clear the air, and cleaning crews mopped down walls and floors impacted by the smoke damage. SERVPRO of North Durham experienced crew has the training and equipment to handle large commercial fire damage emergencies in your Durham area business. Whether your fire and smoke emergency occurs in a TV station, motel, restaurant, or office building, we will respond quickly to minimize the damage. A commercial property contacted our team about a fire damage incident. Our technicians responded quickly and began the restoration process. At SERVPRO, our technicians have the equipment, expertise, and training to tackle any size emergency that may occur on your property. 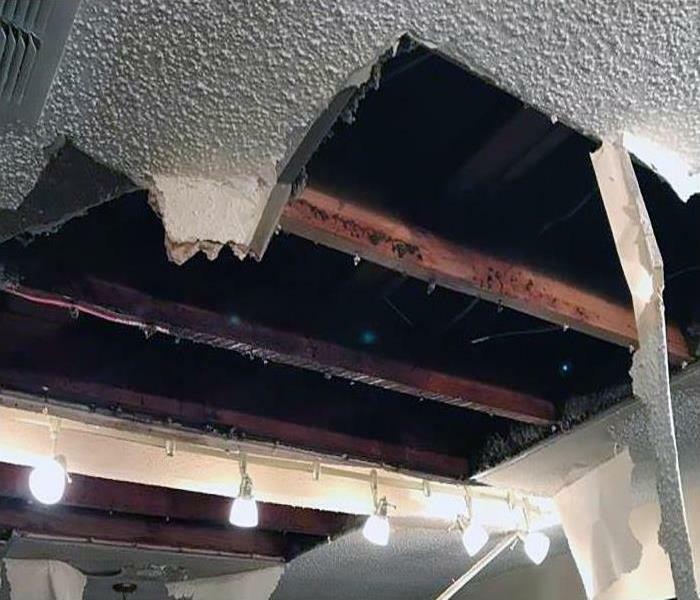 We will make the necessary repairs and restore this property to pre-damage condition. If your business suffers from a fire in the Durham and Gorman area, contact our experts today for assistance (919) 467-0880. The white mold growth on the underpinnings of this Durham crawl space needed extermination. 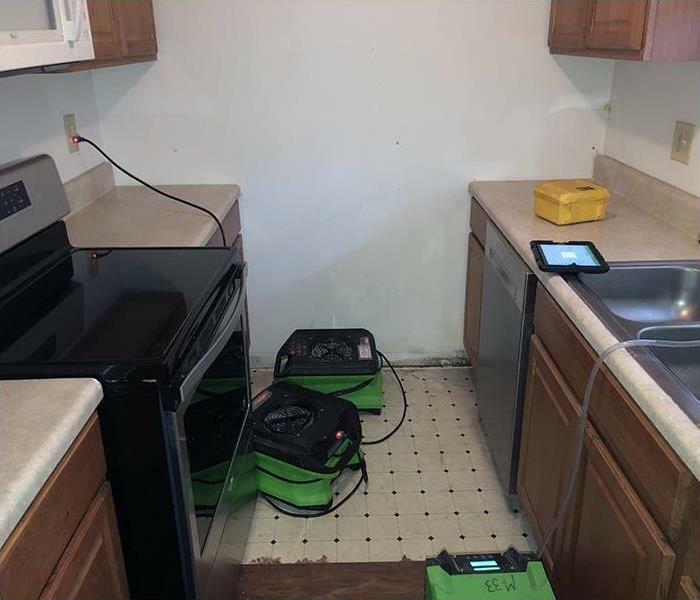 If SERVPRO is called in for the remediation, the result can ensure that the customer will be satisfied with a safe and secure home. 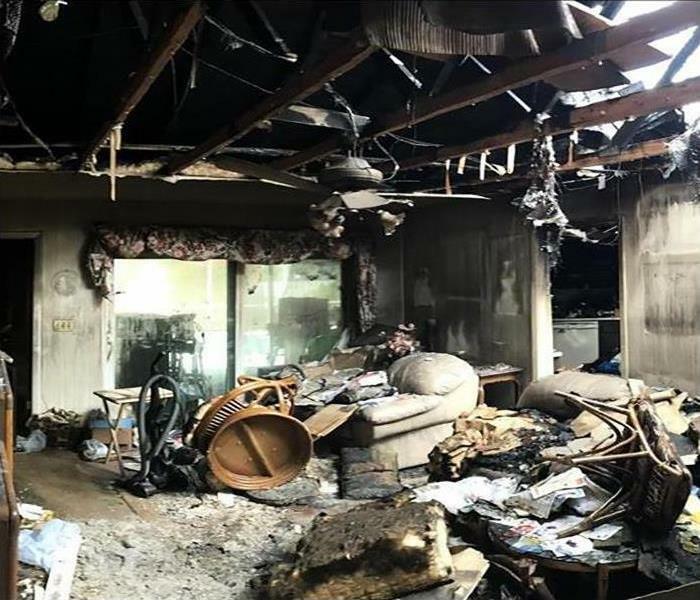 Other than structural damage to a Gorman home, the mess caused by the settling ashes and smoke odors require professional help from a company like SERVPRO. 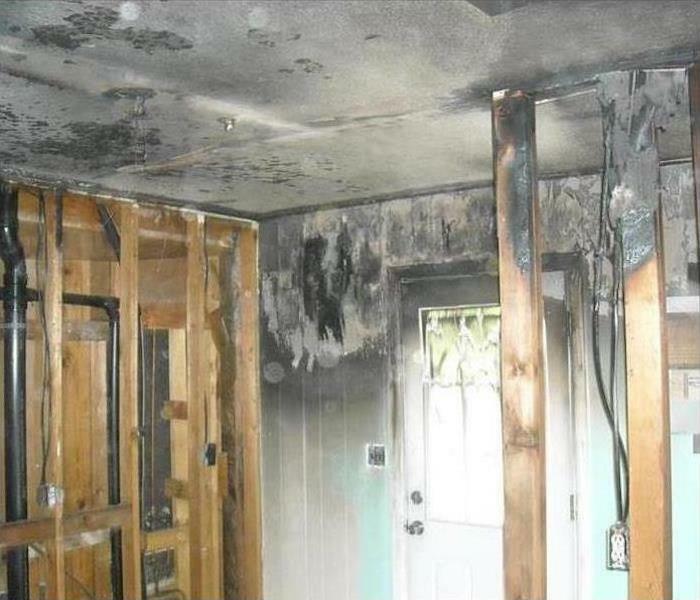 Fast cleanup to minimize secondary fire and smoke damage is essential to restoring a property to its preloss condition. 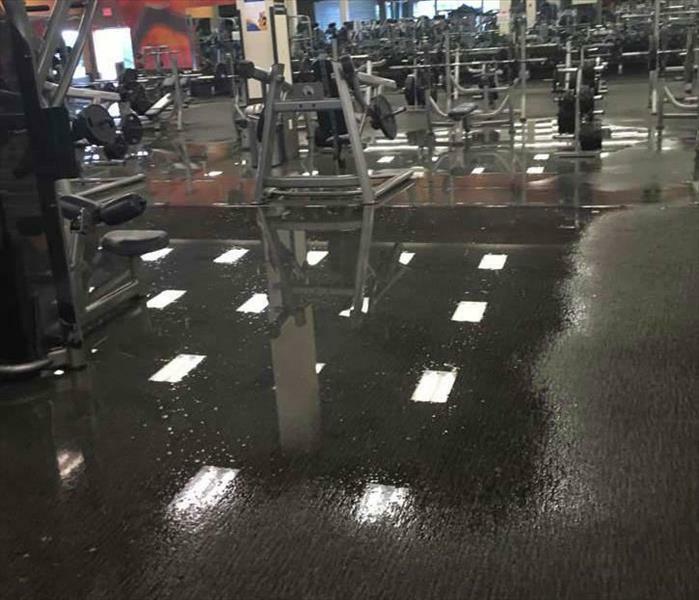 Water can quickly degrade the metal components of gym equipment in this Durham business. 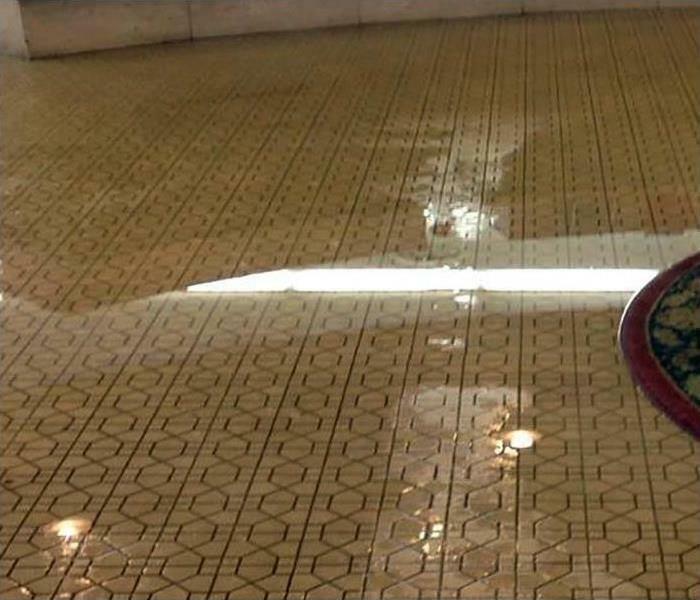 Our fast arrival and removal of the pooling water on the floor and the removal of airborne moisture mitigated the water loss. The stormwater was driven through this broken window and drenched the living room of this home in Zebulon. The carpet has been tossed; some drywall also was non-salvageable and was discarded. The drying equipment is now working to finish the first phase of this storm damage restoration service. 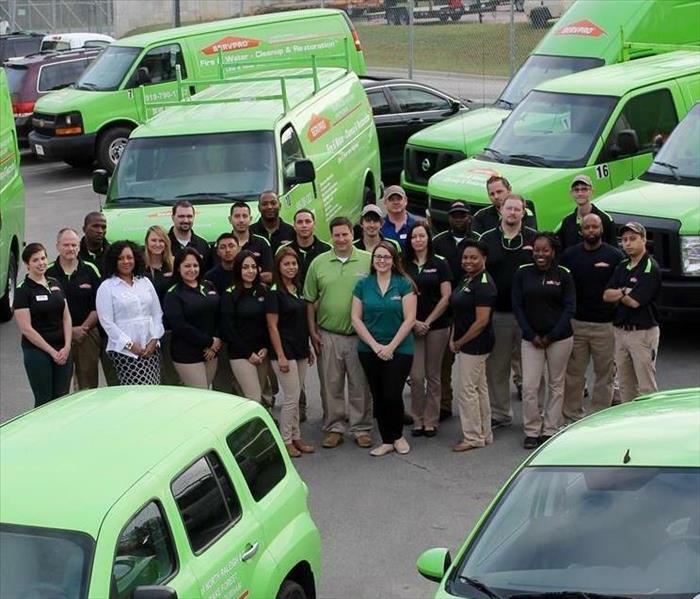 The local team of restoration professionals at SERVPRO of North Durham. 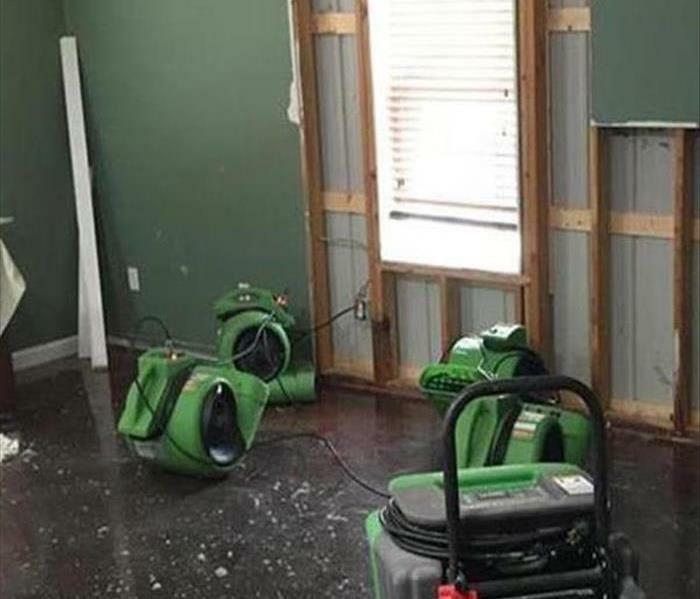 Our local SERVPRO of North Durham team has the equipment and experience to help you recover from a water, flood, fire, smoke or mold damage emergency. Our diverse group of highly trained restoration technicians are dedicated to responding faster to any size disaster. We provide 24-hour emergency service with advanced equipment and personal service. As advancements in the technology and techniques used in the restoration industry are introduced, our IICRC trained technicians respond quickly to restore your commercial or residential property back to preloss condition. Whether you’re a business owner, home owner, insurance adjuster, property manager, real estate agent, renter, or custom home builder, our local team of experts are ready to help you. Call our team 24/7 for fast and professional service. 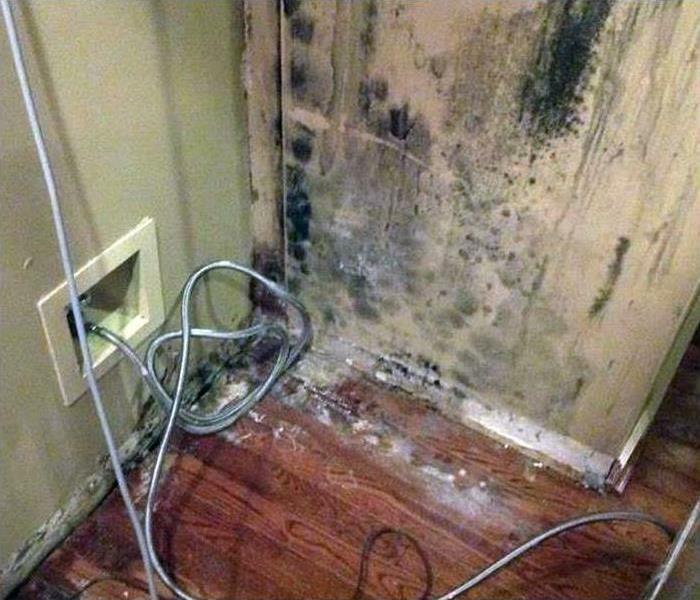 Mold damage was discovered when the owners of this Durham home smelled a musty odor. 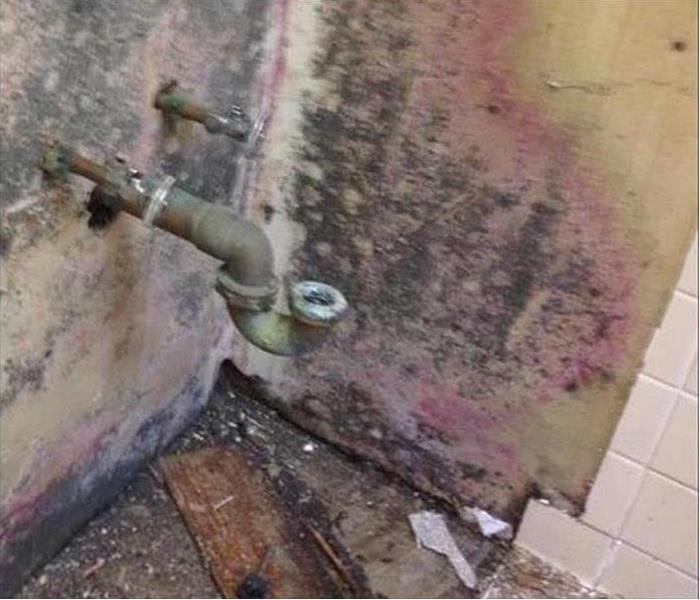 To correct the mold infestation, we were required to remove the sink and cabinetry surrounding the sink. We cleaned the mold and treated the affected area with an antimicrobial substance to inhibit any future mold growth. Fire damage such as this one at a Durham home is a nightmare for the family. Their lives are disrupted, and the fire cleanup can seem impossible. However, if you contract with a professional restoration company like SERVPRO of South Durham you can rest assured that the job will be addressed with proven products and methods to produce the desired results. When our technicians arrive onsite, you can expect knowledgeable, courteous crew members to complete your project. 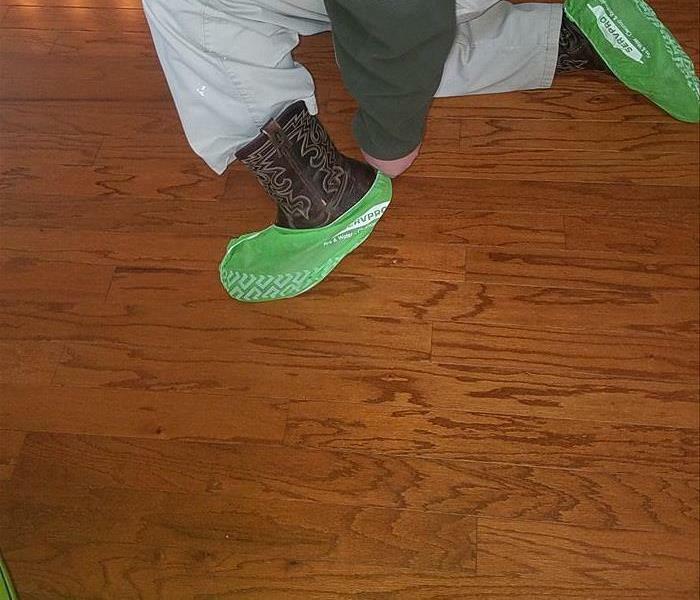 Note how this technician stopped to put on shoe covers to protect the customers hardwood flooring. This customer had a washing machine overflow which affected several rooms and the carpeting. 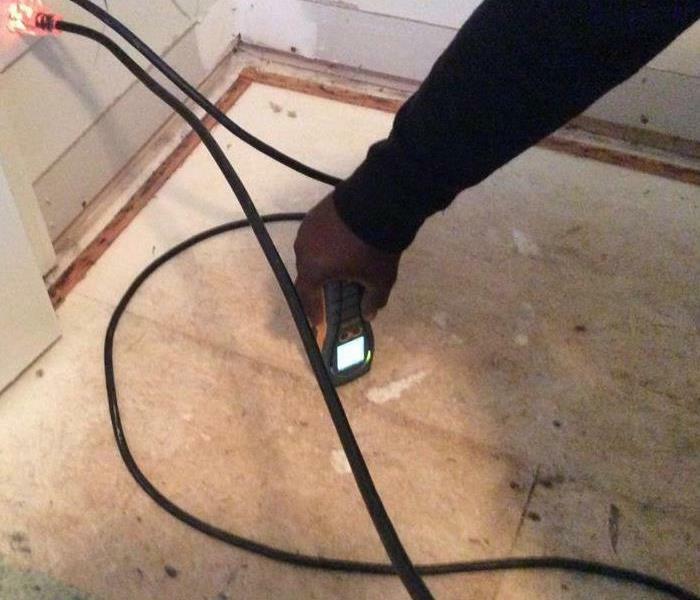 This is a picture of one of our technicians taking a moisture reading on a subfloor. Our technicians monitor daily to ensure the floor is drying properly. 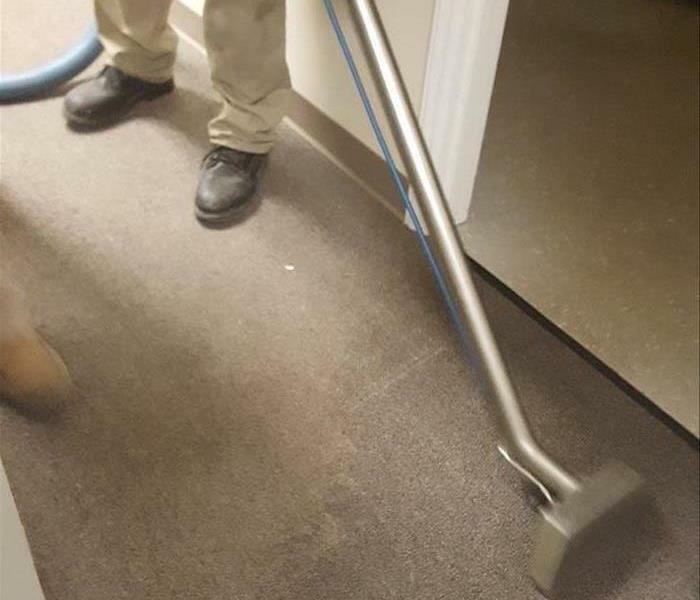 Here is an action shot of one of our technicians using an extractor after a business suffered a water loss in one of their restrooms after a sink became clogged and overflowed into the carpeted areas of the business. 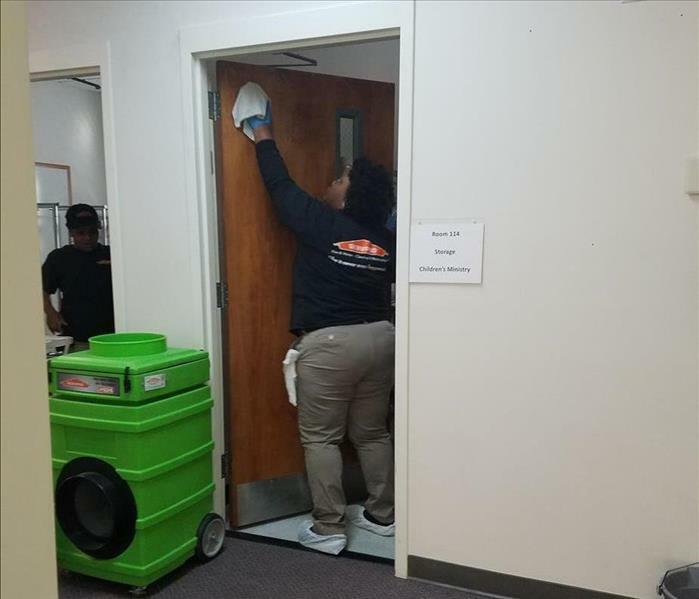 The employees were grateful when SERVPRO® of North Durham arrived onsite quickly and begin mitigation. "Like it never even happened." 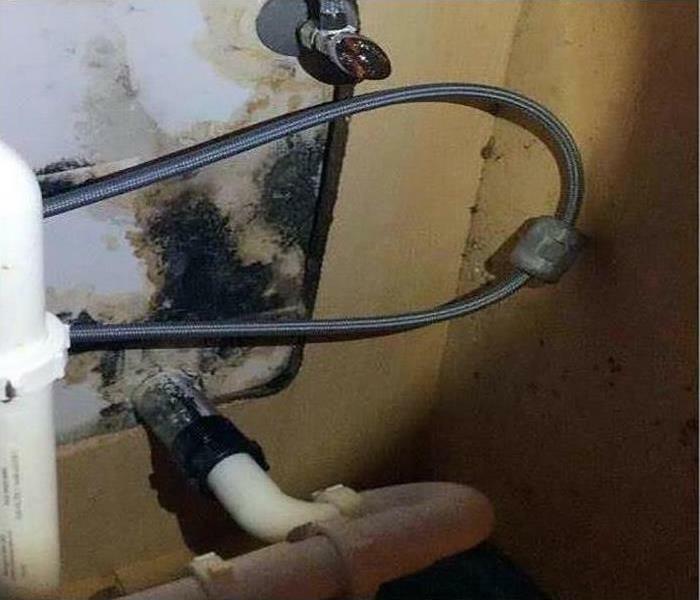 A business client suffered a water loss in one of their restrooms after a sink became clogged and overflowed. 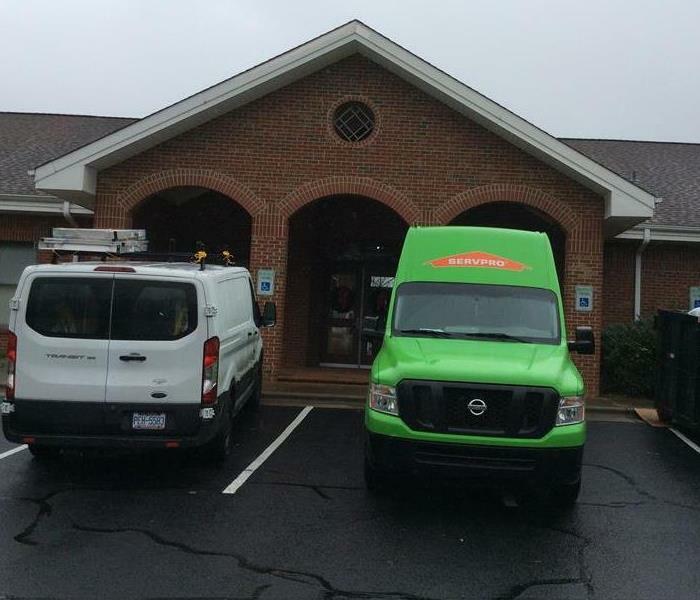 The employees were grateful when SERVPRO® of North Durham arrived onsite quickly and begin mitigation. "Like it never even happened." One of the ways SERVPRO® of North Durham is faster to any-sized disaster is by being prepared. Here is a picture of the new equipment delivered to our warehouse. Helping us stay prepared, to help you, when you need us most.